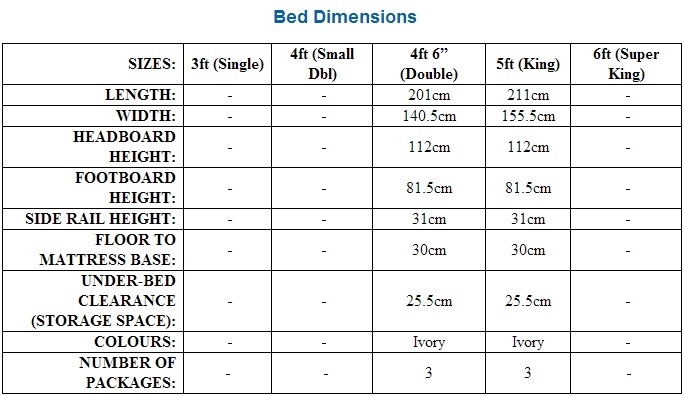 It is finished in a gentle Ivory that will complement a wide range of colours. 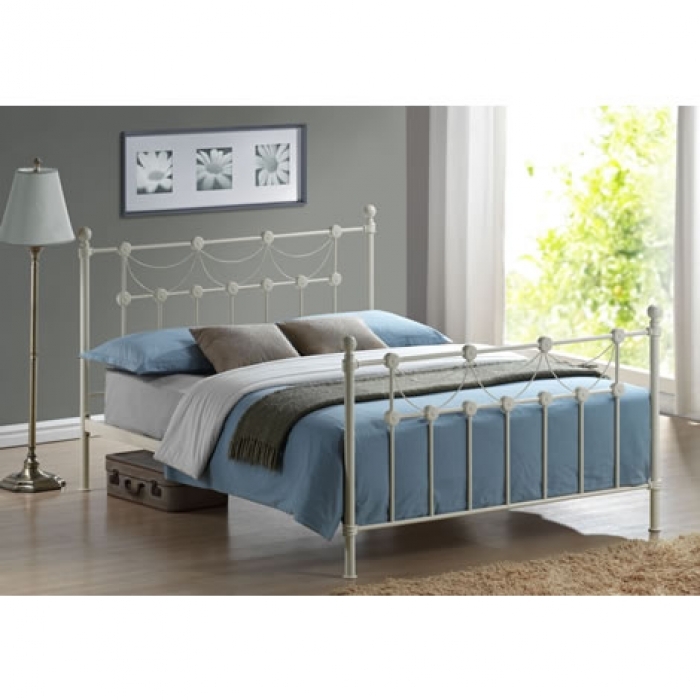 Made from strong metal with a sprung slatted base, it offers both a stylish and durable bed frame. 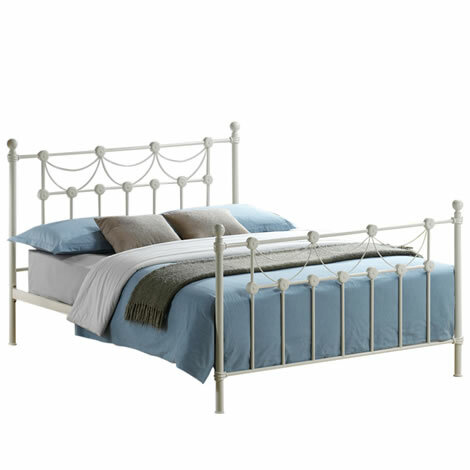 With straight and curved lines, this bed frame will make a stunning feature in any room.